From now on, you can preview your videos from within your Workspace. This brings the advantage of being able to watch the videos first, before downloading them – and not the other way round. 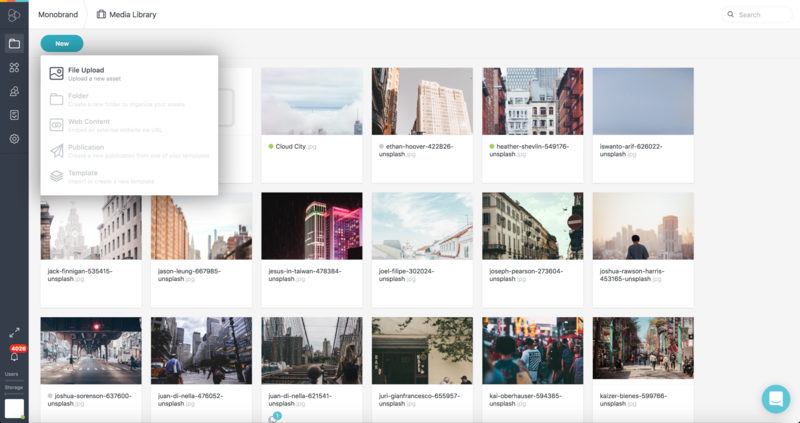 Add videos to every project you wish, for instance, your Media Library, and preview them right from within Frontify. Your videos are supported in every well-established video format such as mp4, avi, mov, and more. Simply enter your preferred project and click on “New” > “File Upload” to upload the preferred video. Once uploaded, the file will appear with a play button on it. Click on it, to enter the Workspace, and watch the video from within Workspace.